A beautiful woman named Aubrey Whittaker, ninteen years old was killed. Merci Rayborn started to investigate the murderer. Mike McNally, her lover, was suspected. 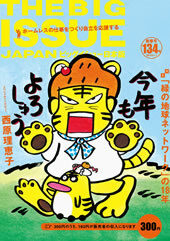 【The News】J. D. Salinger and Howard Zinn were gone. I quoted the articles from New York Times below. These articles were interested for me. I received this book from AMAZON.CO.JP today. Its height is taller than Mass Market's. The books which I want to read have inceased gradually. I think Frank Muller is one of the great narrators. I love Frank Muller's narration. So I'll listen Stephen King, The Talisman. The story length was 28 hrs and 5 mins. Too long. Merci Rayborn started to investigate. My son felt so pleasure. My son and I went to ”次世代　World Hobby Fair” in KYOSERA DOME. In the place, much people were crowded. We were suprised and I felt so runaway. But we were waiting for about one hour to buy goods. Eventually we got goods. My son felt so pleasure but I was tired. 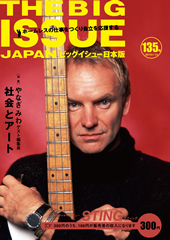 There was STING on the front cover. I was Listening to the audio book, "T. Jefferson Parker, The blue hour". So I'll read his another novel, "Red Light". He is one of my favorite writers. Aprendiba los símbolos en un mapa. I didn't understand this story so well. I didn't like this book which the chapter had 6-8 pages. The book had 67 chapters. My son loves Michael Jackson. He is listening the CD again and again. Mrs .Hall said "Call the police. " I'd bought this magazine on 4th Jan.
Today I saw the man who bought the magazine. They had a harebrained idea to get though the electric fence. One chapter had about 6-8pages was too short for me. I watched on Sesame Street where Backstreet Boys sang a song. Especially I love the song "I Want It That Way". That was a stupid movie but I was burst out laughing. I thought that the director criticized totalitarianism and communism.